So my twenties are coming to an end. I'm vacillating between celebration options. At first, I was rooting for an out of town trip, but then, BUT THEN, I saw these amazing invitations and then a party theme just came to me! 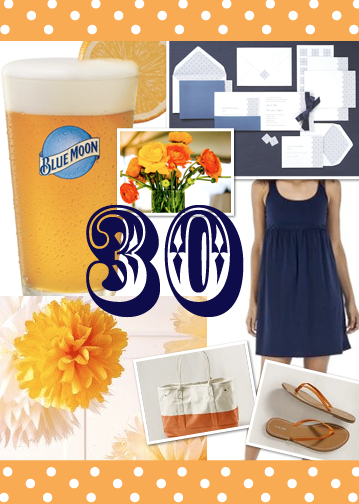 A Blue Moon Beer and Birthday Party! Yes, I love that idea. I love beer and I love birthdays - a perfect fit! Looks like fun. Looks like I just made my decision! Really? That's a question? When in doubt......PARTY!